On June 17, 1775, early in the Revolutionary War (1775-83), the British defeated the Americans at the Battle of Bunker Hill in Massachusetts. 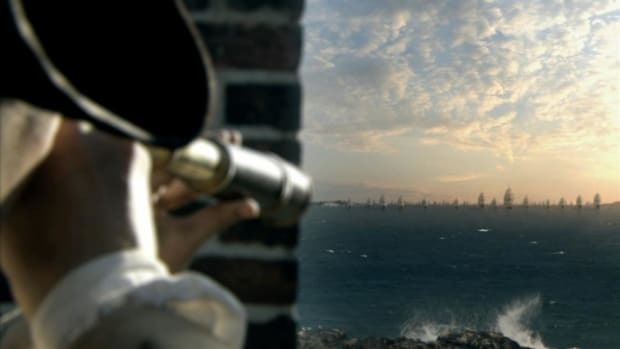 Despite their loss, the inexperienced colonial forces inflicted significant casualties against the enemy, and the battle provided them with an important confidence boost. 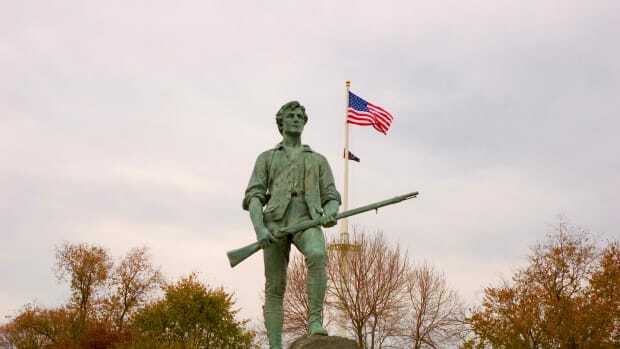 Although commonly referred to as the Battle of Bunker Hill, most of the fighting occurred on nearby Breed’s Hill. Did you know? In 1843, a 221-foot-tall granite obelisk was erected as a monument to the Battle of Bunker Hill. The monument is located on Breed’s Hill, where most of the fighting took place. 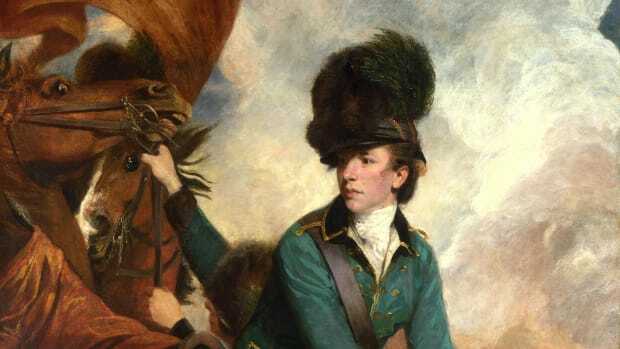 On June 17, some 2,200 British forces under the command of Major General William Howe (1729-1814) and Brigadier General Robert Pigot (1720-96) landed on the Charlestown Peninsula then marched to Breed’s Hill. 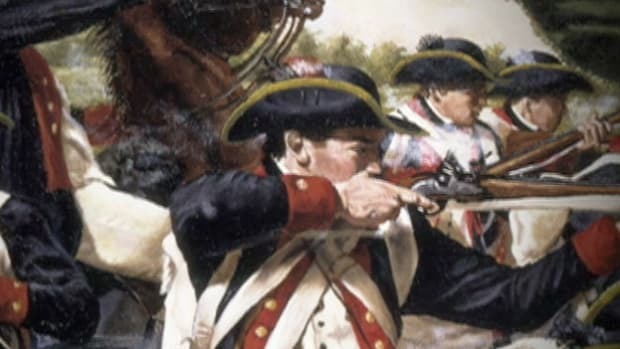 As the British advanced in columns against the Americans, Prescott, in an effort to conserve the Americans’ limited supply of ammunition, reportedly told his men, “Don’t fire until you see the whites of their eyes!” When the Redcoats were within several dozen yards, the Americans let loose with a lethal barrage of musket fire, throwing the British into retreat. 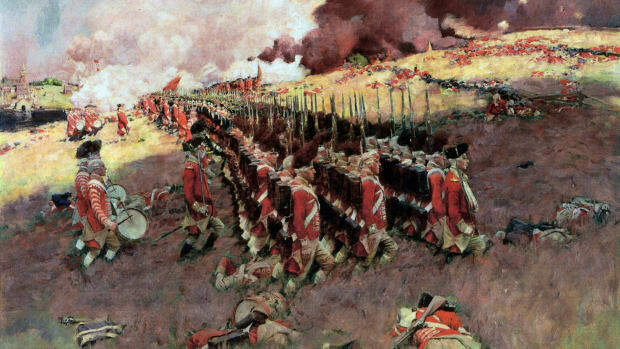 After re-forming their lines, the British attacked again, with much the same result. 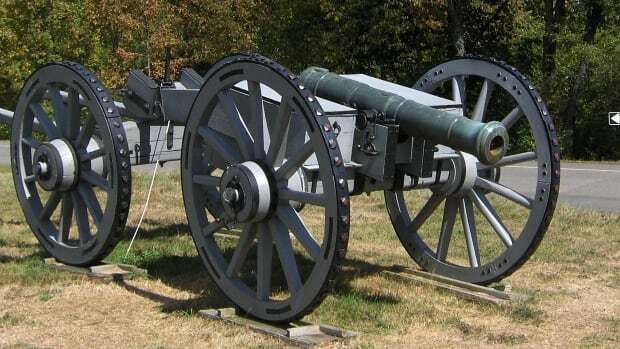 Prescott’s men were now low on ammunition, though, and when the Redcoats went up the hill for a third time, they reached the redoubts and engaged the Americans in hand-to-hand combat. The outnumbered Americans were forced to retreat. 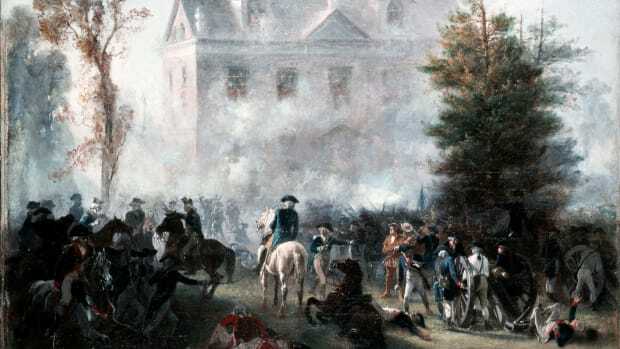 However, by the end of the engagement, the Patriots’ gunfire had cut down some 1,000 enemy troops, with more than 200 killed and more than 800 wounded. More than 100 Americans perished, while more than 300 others were wounded. The British had won the so-called Battle of Bunker Hill, and Breed’s Hill and the Charlestown Peninsula fell firmly under British control. 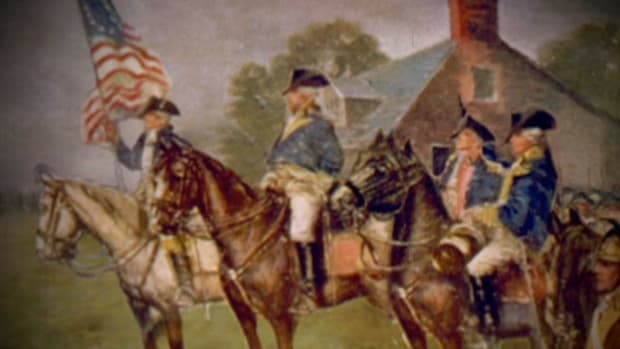 Despite losing their strategic positions, the battle was a significant morale-builder for the inexperienced Americans, convincing them that patriotic dedication could overcome superior British military might. 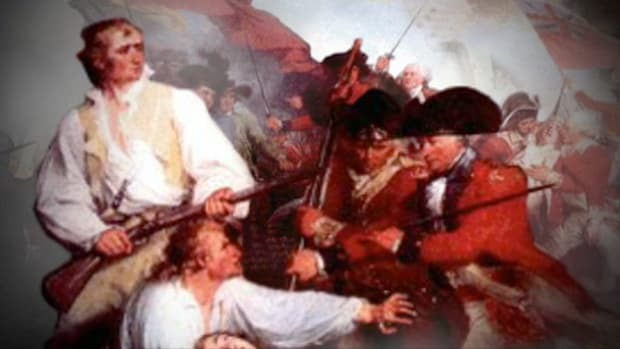 Additionally, the high price of victory at the Battle of Bunker Hill made the British realize that the war with the colonies would be long, tough and costly.